A unique piece of furniture, the Carousel is a true masterpiece of Amish design. 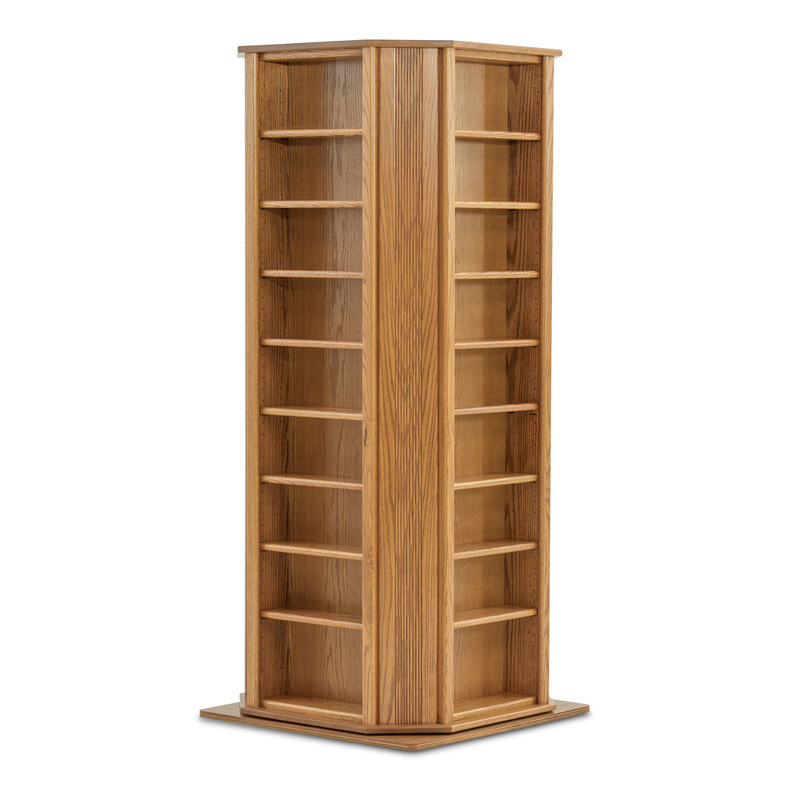 A steel internal frame allows this large bookcase to turn through 360 degrees while the solid wood frame enables each shelf to be placed at an individual height. 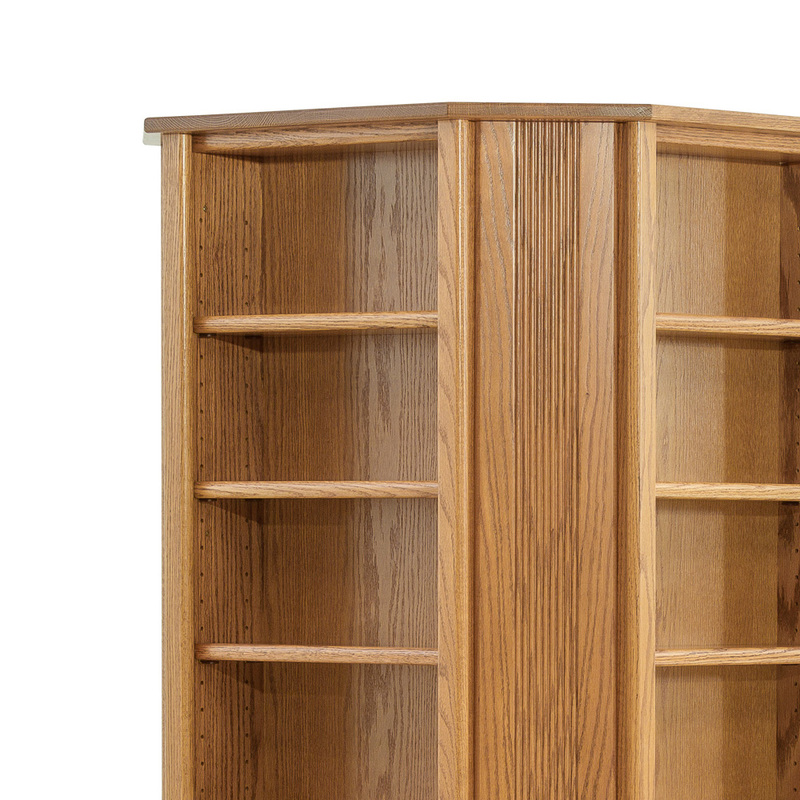 A completely bespoke storage solution with amazing capacity, the Carousel is every book lover’s dream. Gallery images show carousel in natural oak finish. Stock clearance sale on Medium and Dark finishes at £1200; please contact us for further details. 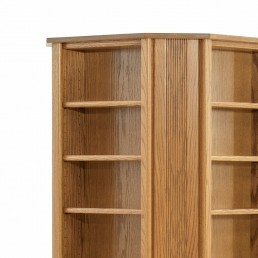 Height is 1900mm with 36 adjustable shelves each 405mm long. Square base is 810mm square. Swings out to 880mm at widest point when swivels.